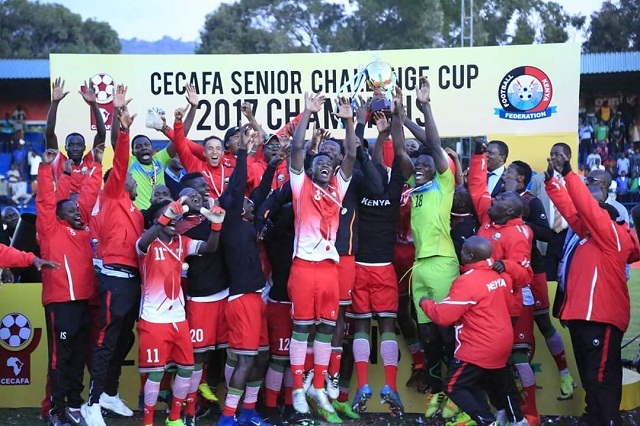 NAIROBI – The Council of East and Central Africa Football Association (CECAFA) senior challenge cup tournament will not be played this year after they organizers could not secure a host. This was confirmed by CECAFA Secretary General Nicholas Musonye on Wednesday morning. “We have tried our best to secure a new host but none is willing to. “And also it will not be possible since the CAF Champions League and Confederation Cup will be played in the same period. “We have moved to cancel and will try to stage the tournament next year. Africa’s oldest football competition has been irregular since its inception in 1926. The tourney was also not held in 1986, 1993, 1997, 1998, 2014, 2016 and now lately 2018. Kenya, the defending champions had been granted the hosting rights but turned down the opportunity two months ago citing limited funds among other logistical issues. It is believed that several other Nations including Uganda have been approached in the last few months but have all turned down the chance to host Africa’s oldest tournament. Uganda remains the most successful country in this tournament having won the event a record 14 times.